Blockchain Exchange Alliance (BXA) was created by the largest crypto exchange in South Korea and aims to consolidate the crypto exchange industry through strategic acquisitions. The alliance holds 38.7% of the company that owns and operates the Bithumb exchange. Bithumb will have a critical role in Blockchain Exchange Alliance – multiple affiliated exchanges with combined orderbook, shared liquidity and various local fiat-to-crypto pairs. Leveraging BXA infrastructure, provide convenient and efficient global payment system. Bithumb’s Venture Capital arm which invests in innovative companies in the blockchain and FinTech sectors, driving real world adoption of cryptocurrencies. 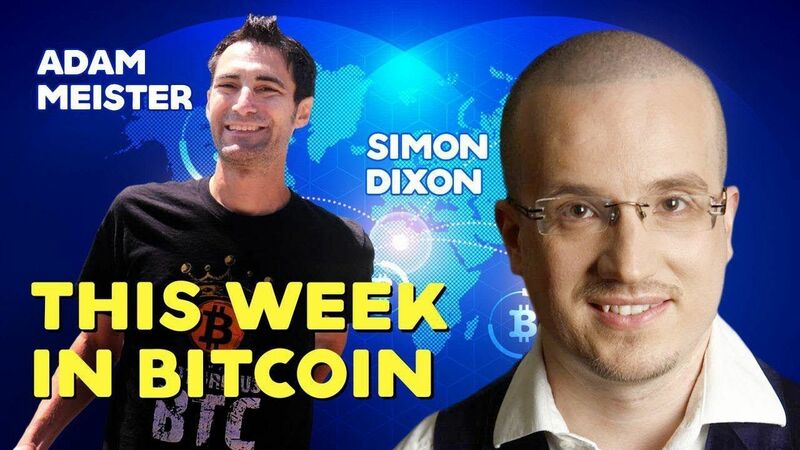 Once again Adam Meister and Simon Dixon meet to discuss the Bitcoin bear market, Bitcoin Cash, Crypto Exchange Valuation Wars and the whole situation in the crypto ecosphere. Founded in 2013, Coinpayments is a digital currency payments solution allowing businesses to accept Bitcoin and hundreds of altcoins through easy to use plugins, APIs and Point of Sale (POS) interfaces. With over 2 million businesses and users in 182 countries,Coinpayments is the most comprehensive online multi-currency platform. Trusti provides compliance solutions for the exchange of regulated securitised assets and is driven by two core products – TrustiCertification™ and TrustiTerminal™ designed to support the security token ecosystem. Byte Federal is a Fincen registered money service business (MSB) that has deployed 64 crypto ATM machines across 10 US states with their own hardware and software systems, with a prominent lead investor in the crypto sector. Byte Federal announced the addition of John W. Popeo to their Board of Directors! The hour has finally come where we released our first version of BnkToTheFuture.com’s Secondary Market. While this is a limited ‘soft launch’ with an aim to closely monitor the transactions, the work to enhance the experience continues. We have now passed $736,924,642 invested in funding rounds listed on our Online Investment Platform. We thank every investor who have contributed to an investment in the Future of Finance and Technology. If you are involved in Financial Innovation & Technology then we would love to receive your application and explore if you can raise investment with us. Whether you have an ICO / Token Sale, equity or other offering, 98% of companies that have listed on our Online Investment Platform so far have raised at least their minimum funding goal. You can make a quick application for finance here and we will follow up. BFT TOKEN HOLDERS ARE GIVEN PRIORITY ACCESS TO ALL DEALS BEFORE ANYONE ELSE. TO RECEIVE PRIORITY ACCESS DEAL (PAD) NEWSLETTERS AND UPDATES, PLEASE MAKE SURE YOU MAINTAIN A MINIMUM BALANCE OF 10,000 BFT ON YOUR BNKTOTHEFUTURE.COM ACCOUNT TO RECEIVE SUCH IMPORTANT NOTIFICATIONS. CURRENTLY YOU CAN PURCHASE BFT ON EITHER BITFINEX, HUOBI, ETHFINEX, GATE.IO, UPBIT, OR BITTREX. BF Token (BFT) are listed on Bitfinex, a top 5 digital asset trading platform. DISCLAIMER – BnkToTheFuture is a shareholder in BitFinex and they previously listed equity on our platform. Huobi is one of the largest volume exchange with a Asia-focused (but global) client base has just announced BFT deposits with trading. Bittrex is one of the larger crypto-to-crypto exchanges and the latest exchange to start trading BFT. Upbit is a Korean C2C exchange and is launched by the biggest messaging app developer in Korea, Kakao. Gate.io is a top 20 cryptocurrency exchange that was first to make a trading market in BF Token (BFT). Investing in crypto companies vs. Investing in cryptocurrencies Do we need anonymity in cryptocurrency exchanges?